Chinese soup to me is love. Chinese soups, with thousands of years of history, are very important in Chinese cuisine. A meal isn’t complete without a good bowl of comforting soup. They’re more than a regular dish to fill your tummy or to enjoy. According to Chinese medicine practices, many Chinese soups have health benefits such as improving immune system, skin conditions (beauty effects!! ), appetite, or cure sickness. 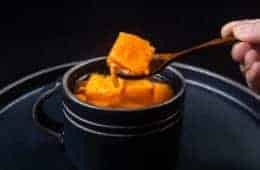 It usually takes a long time to make a flavorful pot of soup. However, with the help of our pressure cooker, we can finally enjoy flavorful and healthy Chinese soups using a much shorter cooking time! 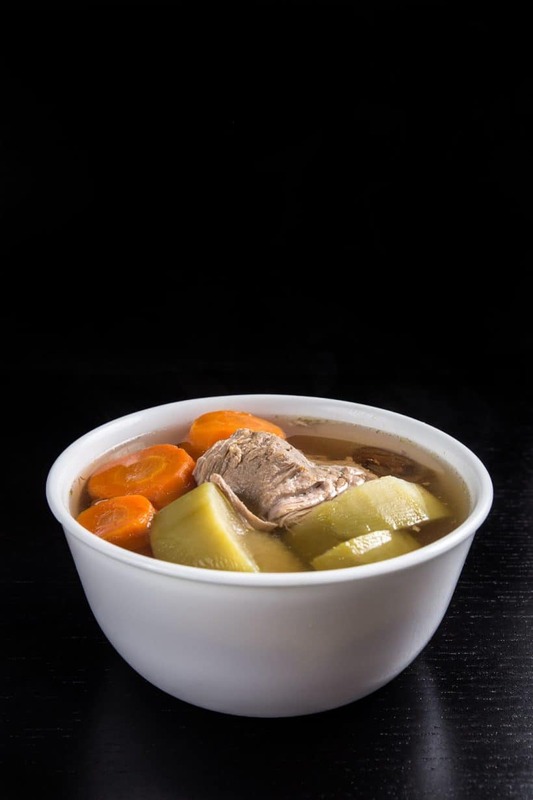 We received a lot of Pressure Cooker Soup requests, so we’re kick-starting our Pressure Cooker Soup Recipes with this Pork Shank Carrots Soup 青紅蘿蔔豬腱湯. It’s one of the most common & simple homemade Cantonese soups. 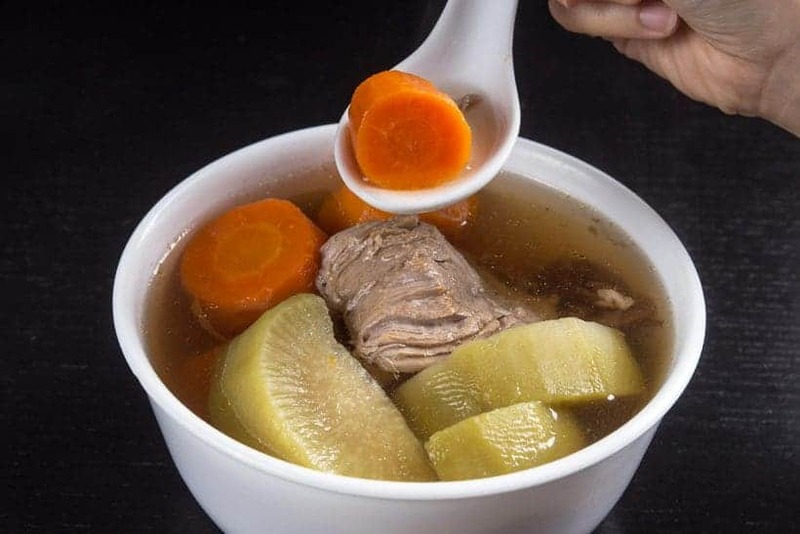 According to Chinese medicine practices, this Pork Shank Carrots Soup can clear away internal “heat”, improve digestive system, and “clear” throat & cough. Dried dates 蜜棗 – we bought ours at our local traditional Chinese medicine & herbs store. You may find these at local Asian markets too. We parboil the pork shank or any other bones and meat to clean and remove the excess fat whenever we make Chinese soups. For this recipe, we parboiled the pork shank for 3 minutes, then rinsed it in cold tap water. Due to the nature of pressure cooking, the initial soup will not taste the same as the traditional Chinese soups cooked on stovetop. So, it’s very important to use the Saute More function to boil the soup for an extra 20 – 30 mins to add body to the soup. 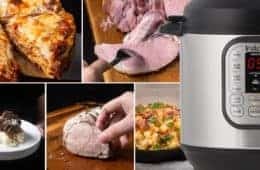 Now it’s YOUR turn to take out your pressure cooker and make some Pressure Cooker Pork Shank Carrots Soup! 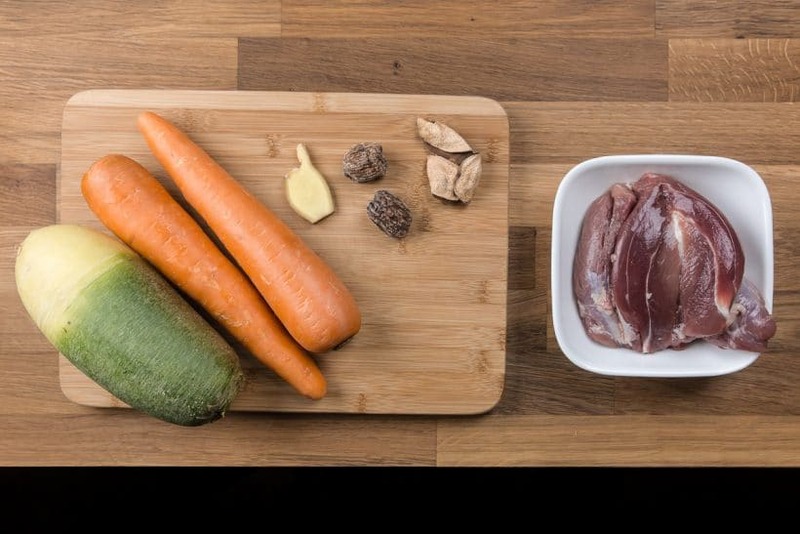 8 ingredients + 10 mins prep to make this healthy Pressure Cooker Pork Shank Carrots Soup Recipe 青紅蘿蔔豬腱湯! Comforting homemade Chinese soup that is super easy to make. Clean the Pork Shank: Bring 2L of water to a boil. Then, boil the pork shank for 3 minutes to clean and remove the excess fat. Remove the pork shank and rinse it in cold tap water. We take this step whenever we make Chinese soups with pork shank or any other bones and meat. Prepare the Ingredients: Soak 1 small piece of chenpi in cold water for 20 minutes. Wash the dried dates with cold running tap water. Prepare the rest of the ingredients as listed. Pressure Cook the Soup: Place all the ingredients into the pressure cooker. Pour 2L of cold running tap water into the pot. Do not add any salt. Close the pressure cooker’s lid and pressure cook at High Pressure for 30 minutes. Turn off the heat and fully Natural Release (roughly 20 – 25 minutes). Seasoning: Carefully open the lid and heat up the pressure cooker to bring the soup back to a full boil. Let the soup boil for an extra 20 - 30 minutes to add body & thickness to the soup. Add sea salt to taste. (Make sure to add in the salt slowly and keep tasting. Do not over season.) For reference: We added roughly 1 ¼ tablespoon of fine sea salt. I am having a hard time finding pork shank. What is a good replacement? Pork neck bone will also work fine. 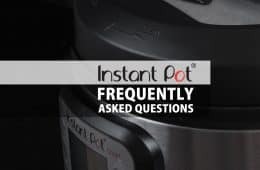 Love all your Instapot recipes and I’m especially excited to see these Chinese soup recipes like mom used to make! I am not familiar with Green Radish, is it called something else? Hi. When you boil the soup again for 20 – 30 minutes in step 4, do you boil with the lid off the whole time? Could you please update the instructions in step 4 (whether lid should be off and button to press to reboil), so I dont have to read through all the comments each time making this soup? Yes, boil with the lid off unless you have a glass lid. You will want to use the saute button. Another great recipe I’ve tried today. The soup tastes as good as it was cooked on stovetop. Thank you so much for posting your recipes. So far, all my IP meals are from your site. I have a question though, I can’t find green radishes in my town. Are there any substitutes for green radishes? No substitution will exactly replace green radishes as the taste is quite unique. I recommend using corn, but the flavor profile will be completely different. What is the purpose of the dried dates? I have seen this other of your broths/soups. It will naturally sweeten the soup. According to traditional Chinese medicine, it has some health benefits. Do you use the same amount of time if making the chayote soup with pork bone/pork shank? And how many chayotes should be used ? Thanks !! The same amount of time will work fine. 2 chayotes will work great! New to instant pot and super excited to see your Cantonese food recipes Great work!. So happy to have you on our site Ken! This soup turned out great! I put just 1 tbsp of salt and it was perfect for my taste. I made this the other day but it had this really bitter taste to it. I was so disappointed! I wonder if I picked a bad green radish? Or maybe too much chenpai. Sorry to hear about that. Thank you for your question. Both are possible, but I am leading toward the chenpai. Do I peel the radish? Yes, the radish needs to be peeled. 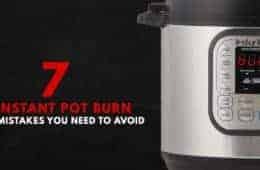 How do you bring the pot to boil? 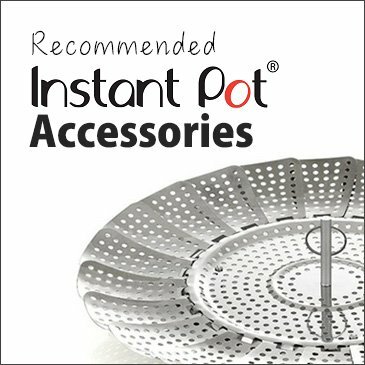 you can press the saute button to bring the pot to boil. Soup made, yet watery compared to the one using real fire and pot, anything I did wrong? 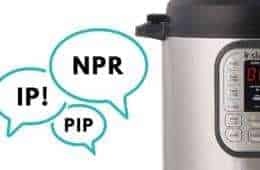 Pressure cooker soup will be more watery when compared to the one using stovetop as there is not much movement inside the pressure cooker. To add some body and thickness to the soup, use the saute more function to boil the soup for an extra 20 – 30 minutes. Can you clarify Natural release? I’ve seen most recipes state this as Natural release while on “Keep Warm” setting. But your instructions suggest click “Cancel” so that the entire thing is off? And then after the natural release, turn it back on for to boil. Both way will work as cancelling or keeping it at keep warm mode will not prolong the Natural release. 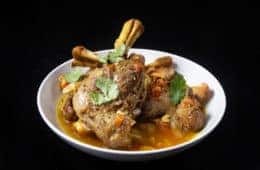 Is it possible to use oxtail for this recipe? If so, how much oxtail should I use and does the cooking / release time change? Yes, Oxtail will also work with this recipe. About 2 lb at 40 minutes pressure cooking + Natural Release. I’m excited to shop for these ingredients to make this soup. In the video you used dried jujubees. Are these the same as the dried dates listed in the ingredients? Thanks for posting this. I’m an American born Chinese woman and now just appreciating Chinese home cooking and cooking in general thanks to the Instant Pot. It should be dried dates (brownish in color) not dried jujubees (red in color) . Thank you for letting us know, we will have to correct the video. Made this recipe, it was really good. Strong natural flavour. Please post more Chinese soup recipes. Another winner!! Do I need to press the ‘soup’ function before pressing the time required? Yes, you can press Soup function or the manual button. What if you wanted to do this in a more traditional Taiwanese style (meaning with pork neck bone and ribs). How would they change the cook time? Is there any other name for Pork Shank? I’ve never seen this cut in Southern California. What part of the animal does it come from?